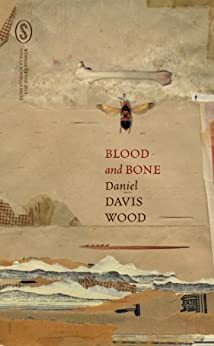 Aboriginals and intent on staking his claim on the land at any cost, what occurs between the two is a stunning powerplay that exposes the limits of the human imagination. Inhabiting the speculative peripheries of the historical record, Blood and Bone is an uncompromising exploration of Australia’s dark history and its legacy. Following on from 2013’s successful winner, Midnight Blue and Endlessly Tall by Jane Jervis-Read, Seizure’s Viva La Novella competition is back! This initiative is unique in its support of writers and editors alike. Four talented editors each selected a manuscript to work on from a pool of over 150 entries. The winning authors were announced at the Emerging Writer’s Festival in Melbourne in June 2014. 5.0 out of 5 starsExcellent book, beautifully written! Beautifully written account of some rather horrific events that involve the author's ancestors in Australia. He frequently acknowledges where he is imagining or creating details to support what he has researched, but this is not disruptive to the flow, but actually enhances the story-telling. This is a compelling story written in elegant prose that was not only difficult to put down, but compels me to read more about this subject and by this author. I visited his web site (danieldaviswood.com) and read his excellent literary criticism, and will read his other books as soon as possible. This is well worth the read, and I will recommend it to colleagues and friends.